Football bettors will likely receive good Chicago Bears betting odds this year as the team is coming off a dismal 5-win season and has shaken up their coaching staff. A revamped and very young Bears attack looks to reverse their losing ways and grow as a unit. With an exciting young core of players and one of the best running back duos in the NFL, the Bears are looking to make some noise in the perennially tough NFC North. They may have been in hibernation last winter, but the Bears are back and ready to feast. The Bears have loaded up on plenty of young talent that should make things tick for new head coach Matt Nagy. A defensive minded coach, Nagy went out and selected linebacker Roquan Smith with the 10th pick in this year’s draft. Smith will play alongside fellow stud linebacker Danny Trevathan and in front of a very strong Bears secondary which boasts the likes of the run-stopping Adrian Amos and emerging talent Kyle Fuller. Last season, the Bears liked to stack the box and play downhill. Expect Matt Nagy to continue this game plan. The offensive side of the ball looks very promising for the Bears this year. Football bettors will surely not want to ignore the two-headed monster at running back of Jordan Howard and Tarik Cohen. Reminiscent of the Smash-and-Dash Titans backs, Howard has proven to be an elite back capable of rolling off 1,000-yard seasons while the tiny, elusive Cohen can give defensive coordinators nightmares and leave would-be tacklers grasping air. If the Chicago Bears betting odds will prove to be a good value bet, second-year quarterback Mitchell Trubisky will need to avoid the dreaded sophomore slump. The North Carolina product will look to build upon a respectable rookie campaign in which he threw for over 2,000 yards and 7 touchdowns. New offensive coordinator Mark Helfrich will stray from the cookie cutter, predictable offense that held down this unit in 2017. By relying more on the arm of Trubisky, the Bears will look to spread the ball around the field while also opening wider lanes for their talented backs. Football bettors know that Trubisky’s top target will be former Jaguars #1 receiver Allen Robinson. The talented wide out missed the entire 2017 campaign to a nasty ACL tear but is now back and better than ever. He will play a major role in the Bears’ offense, and his steady hands should prove monumental toward the budding confidence of his young quarterback. The Bears are projected to be cellar dwellers again this year, listed at 100-1 odds to win Super Bowl 53. Here at SkyBook, we pride ourselves on being the best NFL sportsbook for all your football betting needs. This is the place to be if you want information on the Chicago Bears. We offer game insight and analysis as well as injury reports all in one convenient location. The Bears have so much young, emerging talent that football bettors would be foolish to sleep on them. 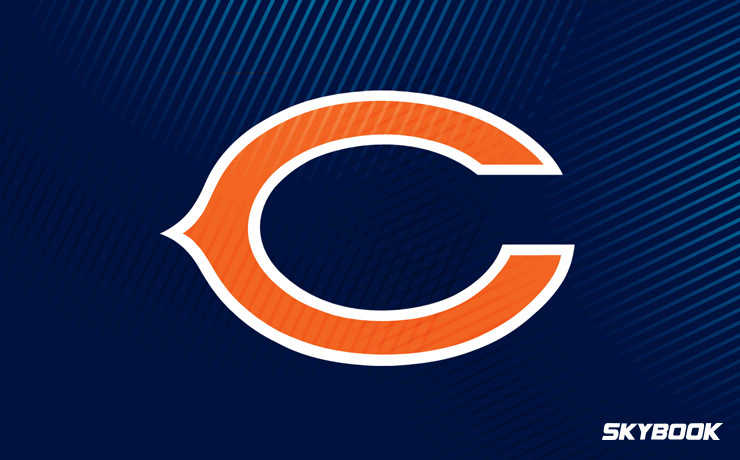 We offer the best Chicago Bears betting odds along with great bonuses that you will not find at any other sportsbook. Remember, it is the bettors that have faith in the teams no one else gives a chance that walk away with the biggest checks.